Korea & Animation: Welcome to Korea & Animation! There's a lot to learn and I'm going to share all that I can about topics related to Korean animation as well as other related fun stuff. I want to learn about Korean animation from you, too. So please post lots of comments, ask questions, and teach what you know. If you think of anything I should know about in Korean animation, just let me know. 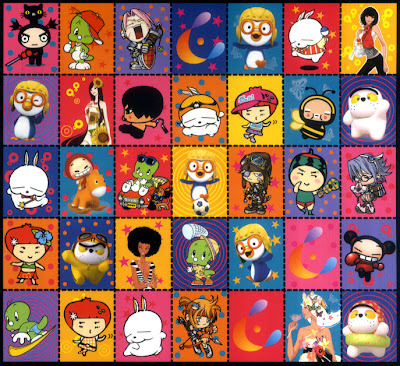 By the way, the above image is taken from the Seoul Character Fair 2007 brochure which happened in July. Welcome to the blogosphere! Love this graphic -- so colorful! Looking forward to more. Hey, thanks for visiting! I hope you come back often!